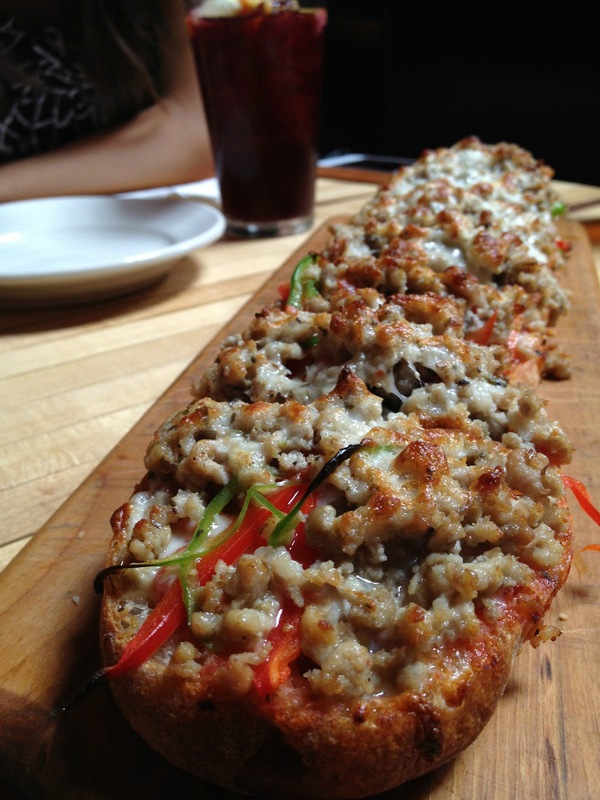 The San Gennaro French Bread Pizza was hearty and topped with sausage, mozzarella and peppers. It was good but not my favorite. The flavors weren't unique and it was too much bread for my taste. If you're with a group and looking for a filler appetizer good for sharing, this will work well for you. Pork Rinds were a great little snack to munch on. They top it with cilantro, jalapeños, red onions and queso fresco. A little heat, a little salty = winning combination! And finally, my absolute hands-down favorite thing to get... the dish that keeps me bowling... Fried Chicken! It was even featured on Food Network's "Best Thing I Ever Ate". The chicken is soaked in egg whites, dredged in a flour/matzo mixture, fried, and seasoned with some special seasoning that adds some spice. It's crunchy on the outside, juicy on the inside, it is seriously good. So good that all three times I've gone, my group has inhaled the chicken before I've even thought of snapping a photo! Here's a pic thanks to a poster on Foodspotting. Be warned, the bowling can get a little pricey and you may have to pay cover to get in on peak weekend nights when they have bands performing. The venue is clean and spacious. Whether you love bowling or you don't (like me), you will love the atmosphere at Brooklyn Bowl and you for sure will enjoy the food. Check it out and save some fried chicken for me!